Missosology.org, a leading pageant-related community forum, has put H’Hen Nie on top of the 10 beautiful women it has shortlisted to choose the Timeless Beauty title winner. 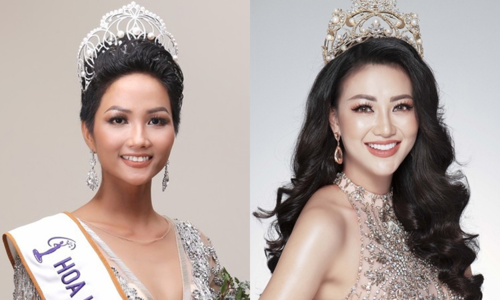 H’Hen Nie, a Top 5 Miss Universe contestant, heads the list with 4,373 points, followed by Miss International Philippines, Maria Ahtisa Manalo (4,355 points) and Miss Earth Portugal, Telma Madeira (4,173 points). Miss Universe South Africa, Tamaryn Green is next with 4,164 points, followed by Phuong Khanh, Vietnam’s Miss Earth 2018, in fifth place with 4,082 points. Others in the Top 10 list are Miss World Mexico, Miss International Poland, Miss Venezuela Supranational, Miss International Venezuela and Miss World Nepal. After this round, the contestants’ scores will return to zero and the judges will repeat the evaluation process to select the Timeless Beauty of the year. Missosology had first selected 112 contestants from five major competitions around the world, whittled it down to Top 25 and then the Top 10. “Timeless Beauty” is an annual title awarded since 2004 by Missosology.org. Previous title winners include Venus Raj (2010), Olesia Stefanko (2011), Irene Esser (2012), Marine Lorphelin (2013), Paulina Vega (2014), Edymar Martinez (2015), Catriona Gray (2016) and Demi-Leigh Nel-Peters (2017). Recently, Missosology.org also published Top 20 Timeless Beauty 2018 national rankings based on the total score in five contests: Miss Universe, Miss World, Miss International, Miss Supranational and Miss Earth. Vietnam finished in fifth place with a total of 507 points, 10 ranks higher than in 2017. With 647 points, Venezuela topped the list, marking the 18th time the country has won the title. The Philippines came in second place with 616 points. Mexico was in third place with 598 points.